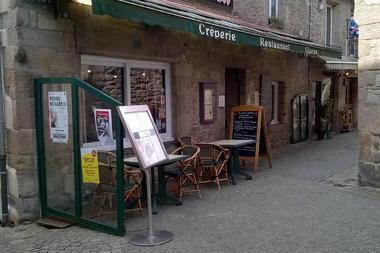 This crêperie in Saint-Pol-de-Léon is over 300 years old, but it shows no sign of ageing with its 3 styles of scallops. At Kreiz Kastell, the chefs, Laurence and Thierry Vincent, won’t content themselves with the traditional melted leek accompaniment for scallops. Here, just a short walk from the cathedral in the old part of Saint-Pol-de-Léon, they cook their scallops with bacon and artichoke bottoms and with shrimps in crème fraîche and chopped bacon. They’ve just arrived at this crêperie and clearly want to stand out from the crowd. They'll even be “offering seaweed buckwheat pancakes soon and many other wonderful seafood toppings. 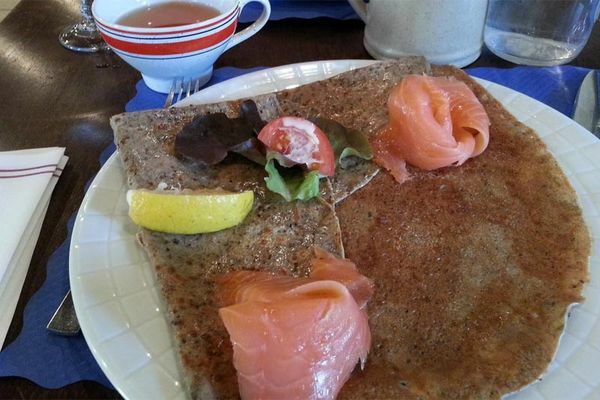 We really want to cook Brittany style.” And as good things always come in pairs, you’ll discover that their butter crêpe comes served with a home-made crème brûlée. There are also a few carefully chosen beers and ciders to try, including an organic and AOC ones. So there you have it – a 17th century house which is as young as ever!